Two quickfire second half goals from Xherdan Shaqiri sealed a fully deserved win for Liverpool against a United side who were well below par on the day. 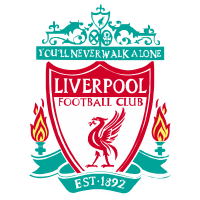 liverpool-fc: Alisson; Clyne, Lovren, Van Dijk, Robertson; Fabinho, Wijnaldum, Keita (Shaqiri, min. 70); Mané (Henderson, min. 84), Firmino, Salah. Manchester United: De Gea; Darmian, Bailly, Lindelöf; Young, Herrera (Martial, min. 79), Matic, Lingard (Mata, min. 85), Dalot (Fellaini, min. 46); Rashford, Lukaku. SCORE: 1-0, min. 24, Mane. 1-1, min. 33, Lingard. 2-1, min. 73, Shaqiri. 3-1, min. 81, Shaqiri. Xherdan Shaqiri came off the bench to score twice in eight second half minutes as Liverpool overpowered Manchester United 3-1 at Anfield to send them back to the top of the Premier League. Sadio Mane got things started for the Reds in the 14th minute as he netted Liverpool's first home goal in three attempts against United. Jesse Lingard did give the visitors brief hope when he equalised after a terrible goalkeeping error from Alisson Becker. 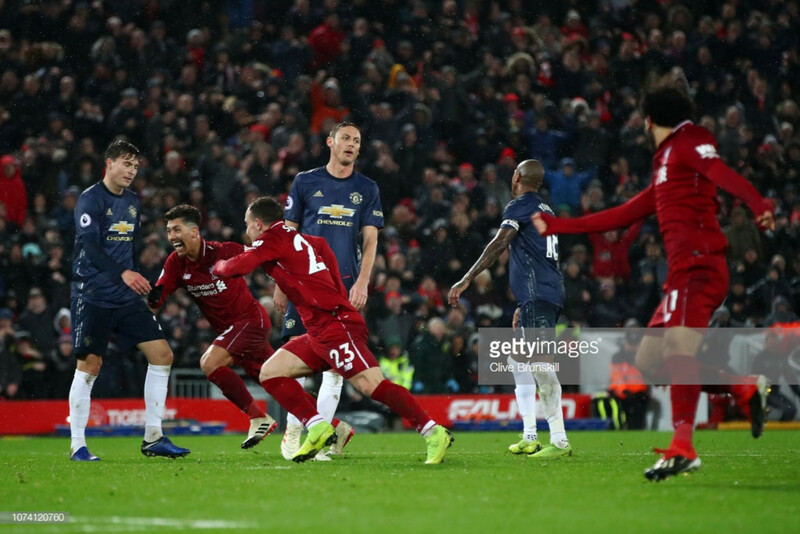 Many people thought then it was going to be one of them days for Liverpool against United again, but upstepped Shaqiri from the bench, to net twice to seal the three points for Liverpool which they fully deserved from the game. Both managers made changes to their starting lineups after their midweek games and injuries with Nathaniel Clyne making his first premier league start of the season for the hosts. On the other hand, Jose Mourinho made 10 changes to his side after their loss to Valencia on Wednesday evening with Paul Pogba having to settle for a place on the bench. Things got even worse for the visitors as Chris Smalling, who was supposed to start, picked up an injury in the warmup and was replaced at the last minute by Eric Bailly. In terms of the game itself, the hosts started on the front foot with Roberto Firmino forcing David de Gea into making a good save five minutes in. The Reds continued to push and push and they were finally rewarded with the opening goal of the game in the 24th minute. The goal was scored Mane, who collected a brilliant chipped pass from Fabinho, before slamming home to give the hosts exactly what their play had deserved. It looked only a matter of time before Liverpool would score more goals but out nothing, the visitors scored with their first real attack of the game. It was down to an Alisson mistake as he failed to deal with a Romelu Lukaku cross and Lingard was on hand to put the ball into the back of the net to give United a gift that they didn't really deserve. That equaliser really knocked the wind out of the home sides sails as United started to take control to the game by having more of the ball for the remainder of the half. Their wasn't to be anymore goalmouth action before the half-time whistle went, with United somehow on level terms in a game that Liverpool were bossing for the first half hour of the game. As they did in the first half, the hosts started at a fast pace and once again the visitors were thankful to De Gea, who made a wonderful save to deny Firmino from giving the hosts the lead for the second time in the game. The hosts continued to pile more and more pressure on the visitors, who decided to sit back and counter whenever they could get out of their own box. Just as the Liverpool players were starting to get frustrated at not getting the second goal it did come 17 minutes from time. It was scored by Shaqiri, who had just been on the pitch for three minutes, after Mane had dribbled past a couple of United defenders and when United failed to deal with the cross, the winger fired home via a deflection leaving De Gea with no chance of keeping it out of the net. It didn't take long for the Swiss winger to net his second and his sides third of the game in the 81st minute, when he collected the ball at the edge of the box, from Firmino, before curling a deflected effort into the back of the net to end the game as a contest. The last ten minutes of the game saw Liverpool toy with the United players as they saw the game out to earn a well-deserved victory, while once again the questions will start for United after another abject display. Manchester City laid down the guantlet to Liverpool after their win against Everton yesterday. It was therefore down to the Reds to respond and they did it in style as they showed once again that they are the real deal going forward into the second half of the season. Shaqiri is showing now exactly why Liverpool bought in the summer for a bargain price. The winger only managed to start on the bench for the Reds but he made a real impact coming off it by scoring two goals in eight minutes earn the Reds a massive three points in a game that in recent years they would have come unstuck in. This was yet again a game that highlighted the many problems that United have at the club. For one, their defence was totally shown up again, while also it is not clear that every single player that Mourinho puts out is playing for him. Something needs to change quickly before United fail to qualify for Europe at the end of the season.